Da Vinci As Saboteur? Did The Artist Deliberately Design Bad Weapons? 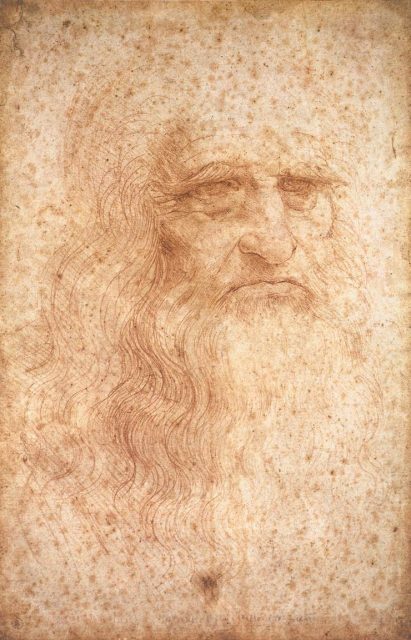 It’s hard to imagine Leonardo Da Vinci as anything other than a brilliant painter and sculptor, scientist and humanist. He is the man who created eternal works like the Mona Lisa and the Last Supper, the latter of which is the most reproduced painting in the world. Da Vinci was just a young man when his parents, who realized early on how gifted their son was, sent him to Florence for artistic training. Once established, he moved to Milan to get steady work. And while he did indeed find work, he didn’t reach a point at which he could be choosy about accepting a job offer, even if it may have conflicted with his moral or ethical codes. So when the French invaded Milan and war broke out in 1499, Da Vinci moved to Venice. But nonetheless, the military came calling–not for him to be soldier, but to design weapons and other military equipment. Da Vinci couldn’t afford to turn them down. Upon reflection of that period in his career, art historians wonder today whether Da Vinci, reputed to be a pacifist, didn’t intentionally make his weapons impractical and impossible to build. He is credited with designing the forerunner of the modern military tank. It is a remarkable achievement, considering there was no automotive engineering extant in his day. But he proposed a kind of tortoise-shaped, bulletproof vehicle that would run on gears manipulated by as many as eight men inside. It would move in any direction, and his drawings even show a turret out of which a soldier could see the enemy or aim his weapon. Model of Da Vinci’s armored tank. 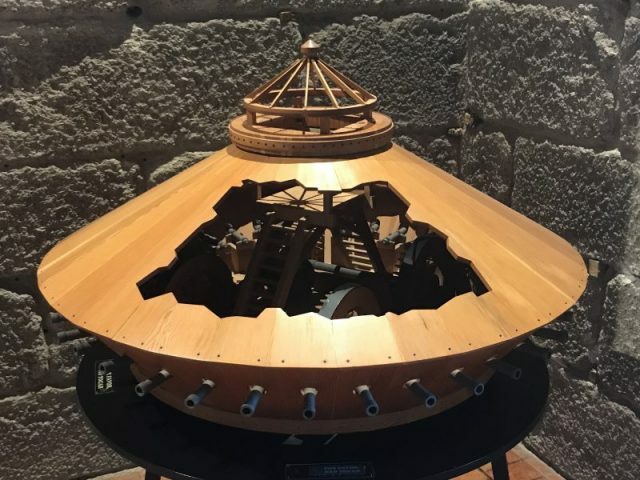 Recent attempts to build the vehicle in keeping with Da Vinci’s instructions, however, have revealed that it would have been utterly useless. It did have room for weapons and could, in theory, move in any direction. 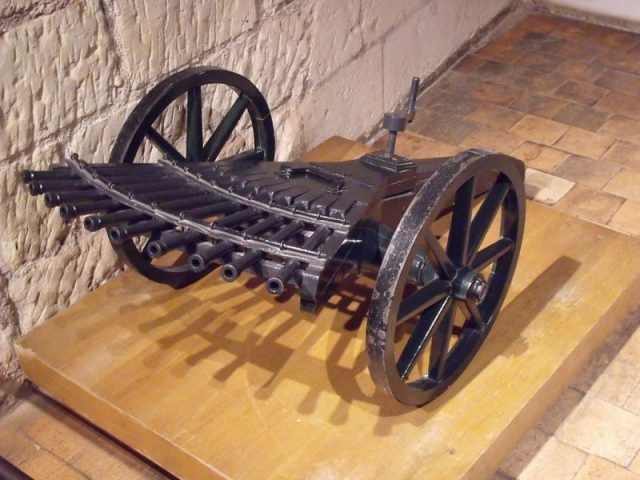 It included cannons that would rotate in all directions as well. And its massive size would have cowed the enemy, just as tanks did when they were introduced to warfare centuries later. 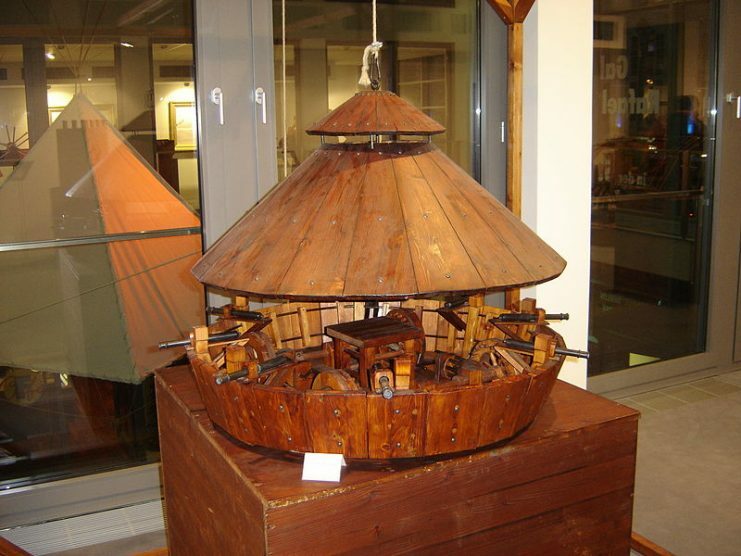 Model of a tank based on drawings by Leonardo da Vinci. Leonardo da Vinci. Mensch – Erfinder – Genie exhibit, Berlin 2005. 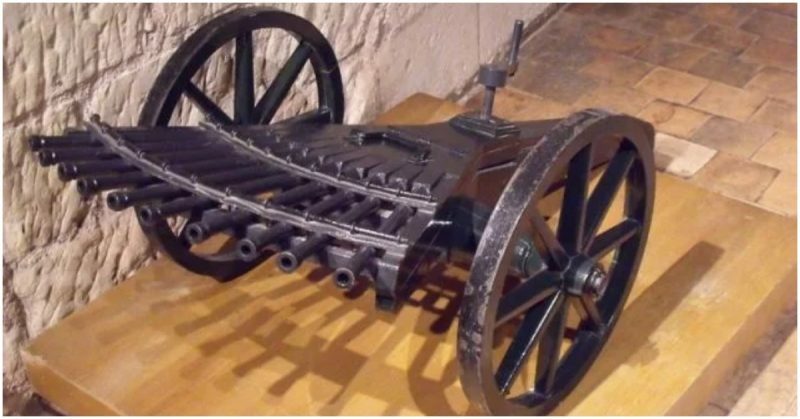 But the cranks within it, which soldiers would use to keep it moving, were set in backwards in his drawings, which meant the “tank” could not have moved forward. Knowing Da Vinci as historians, art experts and researchers do, some of them think it unlikely he would have made such a glaring error unintentionally. Some believe he deliberately drew it incorrectly, so if the tank was ever built, it couldn’t work. The same can be said of his design for a massive crossbow. It was meant to be fired by two men, and to use giant stones or even flaming bombs as ammunition. 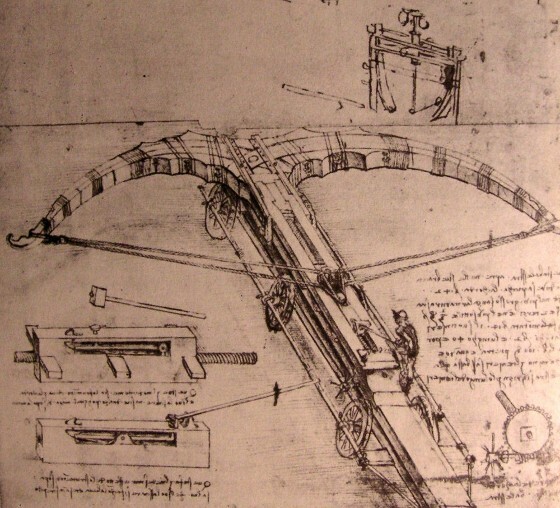 Da Vinci proposed that it be 82 feet (25 meters) wide, built on six wheels. But as a major drawback, it had a finicky firing system that would have been difficult to operate in the heat of battle. This feature alone has made historians wonder if Da Vinci’s intent for the weapon was that it not be built. Did he make that choice consciously? 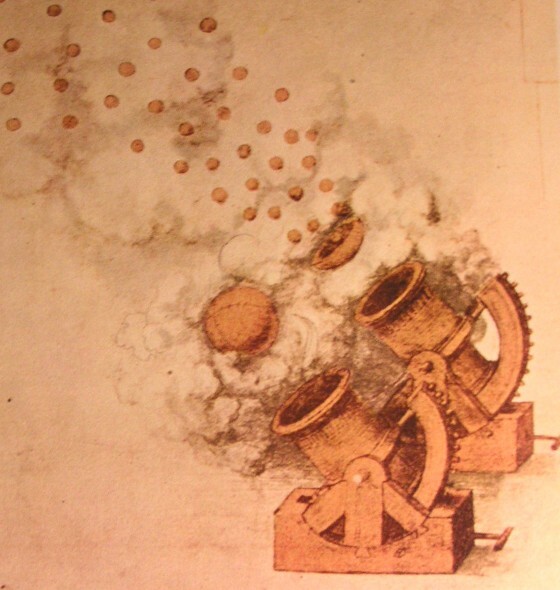 Da Vinci’s design for a massive precursor to the modern machine gun was startling for its time. His drawing shows perhaps the earliest attempt to design a quick-firing weapon. It shows 33 barrels, set in three rows of 11 apiece, stacked rather like the pipes in a church’s organ. Because they were aimed in different directions, one row could be fired, turned, and reloaded while another row fired in its place. This feature was particularly important because early gun powder took a notoriously long time to reload, and time is one thing that men on the battlefield do not have. No one can say conclusively whether Da Vinci intended that these drawings never become reality. They are detailed and thorough, but were never developed in his lifetime. Was that his goal? Did his pacifist nature compel him to ensure the weapons could never actually see the light of day? One thing does seem certain: even if his military bosses had built these weapons to test them, in all likelihood they would have been deemed too impractical for use on the battlefield. The rest we can only speculate.